Almost Heaven sells several models of Harvia Heaters. Please either scroll down for specifications, or use these links. 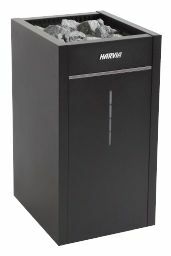 Harvia Compact is a high-quality electric heater made of stainless steel. 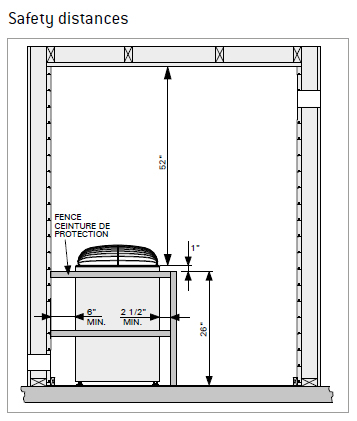 It is a safe and userfriendly heater designed for small saunas intended for 1 to 2 people. The heater is equipped with a built-in illuminated control panel on one side, improving user comfort. The heater is supplied complete with a water collection tray at the bottom and a wooden heater guard that gives the heater an individual look. The symmetrical design of the Compact heater makes it easy to place and install it in the sauna. The Compact JM-17, JM-20 and JM-30 models are equipped with a built-in control panel. The Topclass models KV-45, KV-60 and KV-80 are equipped with a built-in control panel. The KIP is a traditional wall-mounted heater with either a built-in control panel or a separate control unit. The large stone space provides optimal heat release. The outer casing temperature of the heater stays low. 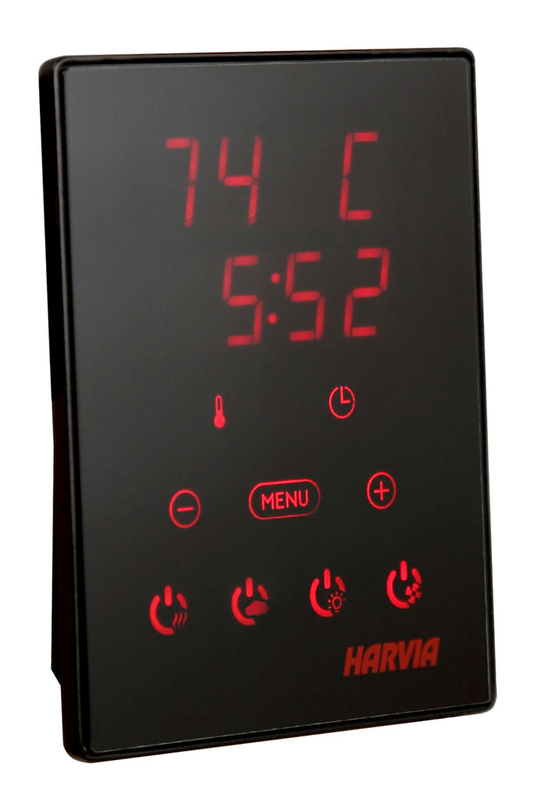 Harvia Forte is always ready for bathing without any pre-heating. Open the heater cover, get on the bench, throw some water on the hot stones and sit back to enjoy. Forte guarantees that you can have a humid and soft bath immediately when you want. The sauna temperature will rise if you let the heater operate at maximum power for a while with the cover opened. 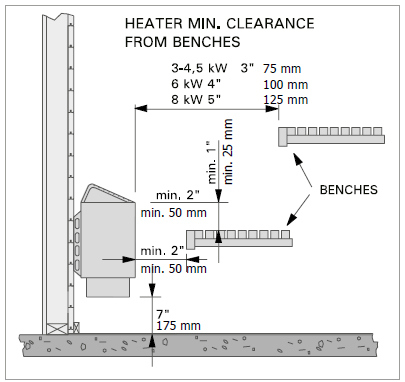 The heater design emphasises ease of use in addition to short heating times. Harvia Forte heater is equipped with a separate digital control panel, which makes heater use extremely easy. Control panel can be located in or outside the sauna with a data cable. 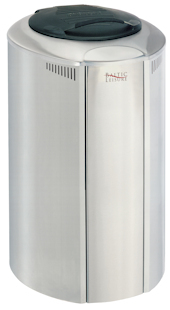 Forte is an economic heater of durable Harvia quality. The entire stone space is made of stainless steel. The efficient thermal insulation enables the heater to maintain its bathing temperature, more than 300 degrees Celsius, using a modest 250 watts of electrical power. In between baths, the heater works as a normal radiator in the sauna. The heaterï¿½s properties are the best in saunas with good thermal insulation and no massive materials (such as concrete, log or glass blocks). 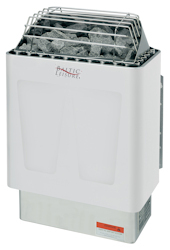 Only large, split-face sauna stones (over 10 cm in diameter) must be used in all electric storage heaters. Forte is the right choice for families who use the sauna several times a week but not necessarily at fixed times. Forte models AF-45, AF-65 and AF-100. Club heaters from Harvia are designed to serve as true super heaters capable of providing heat for large numbers of users from morning till night. Heaters used in large saunas or on a continuous basis must be functional, efficient and comfortable to use. The floor-mounted Club electric heaters are of the world-famous Harvia quality. They are completely made of stainless steel and provide the power and durability required for heavy-duty use. The Club heaters are excellent for health clubs, wellness centres, hotels, holiday resorts, indoor swimming pools, large family saunas and other facilities where saunas are in frequent use. The Club heaters are controlled by a separate control unit. Club models K10G, K12,5G and K15G. Harvia Cilindro electric heaterï¿½s massive sauna stone amount provides enjoyable sauna bath. The quality-price ratio of this floor mounted heater is excellent. Cilindro has an apertured outer casing made of stainless steel. You can adjust the nature of the heat from soft to sharp by throwing water either to the side of the heater or straight on top of the stone pillar. The Virta Combi heater is a combined electric heater and steamer that provides different sauna pleasures. You can select between a traditional Finnish sauna, a steam sauna, a herbal sauna or a fragrant sauna. 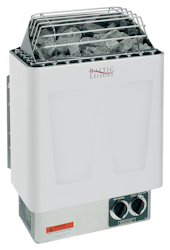 A Combi heater is the correct choice for bathers who appreciate a soft and humid bath and an aromatic atmosphere. The water tank holds 5 litres according to model, the tank is filled either by manually pouring water into the tank or automatically from a water outlet. 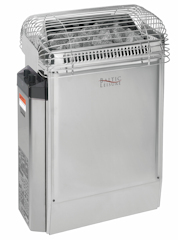 The heater has a soapstone cup to hold liquid fragrances and a stainless steel grate for bagged aromatic fragrances. The Combi system is simple and reliable. 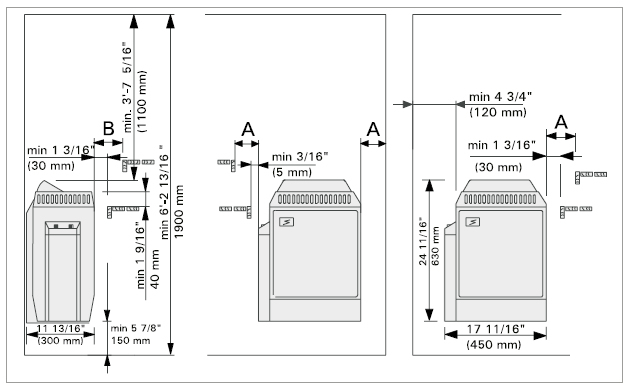 The Virta Combi is also available without the integrated steam generator, and is then just called the Harvia Virta. Harvia Xenio - The control panel of the Xenio control unit provides a modern and subtly stylish interface for controlling the heart of the sauna, be it a traditional electric heater or Combi heater with a steamer. The compact yet clear touch control panel can be surface-mounted in almost any space: sauna room, bathroom, dressing room, or even the living room. The control panel shows you when the sauna is at the right temperature for bathing. Harvia's M3 has a classic design and is suitable for smaller, wood-heated saunas. It turns a sauna bath into a pleasurable experience, and adds a touch of traditional sauna atmosphere. The even heat and efficient air circulation guarantee an enjoyable bath. The M3 comes equipped with a glass door, allowing the warm glow of the fire to complement the sauna atmosphere. The stove is graphite black with a stainless steel air-flow spoiler. It can also be equipped with a pipe model water heater. 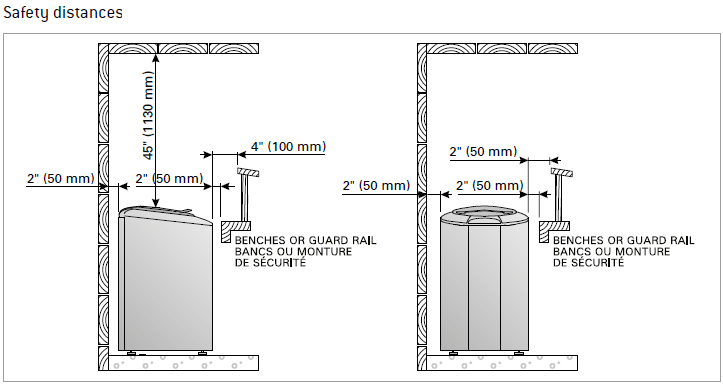 The recommended size of the sauna room is 160 to 460 ft3 (4.5-13 m3), and the maximum amount of stones is 66 lbs (30 kg). The Harvia Legend 150 offers a comfotably moist sauna bath for a smaller sauna. The stove is a treat for the eye and for the sauna bather. The Harvia Legend 150 is equipped with a cast-iron glass door, allowing the warm glow of the fire to complement the sauna atmosphere. The adjustable legs make the stove easy to place in the sauna. 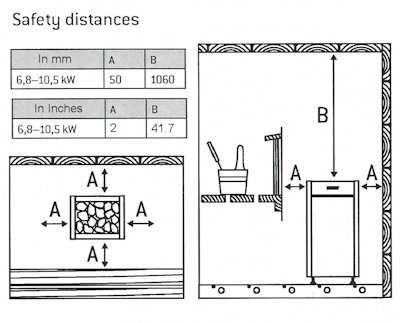 The recommended size of the sauna room is 212 to 460 ft3 (6-13 m3), and the maximum amount of stones is 265 lbs (120 kg). Please either scroll up for specifications, or use these links.